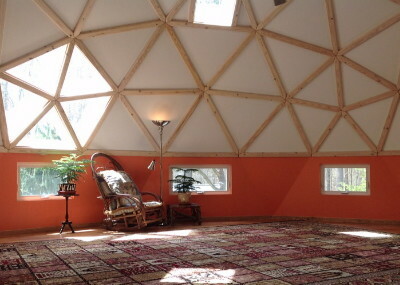 creates a fantastic geodesic interior. Painted panels are held in place by gravity. 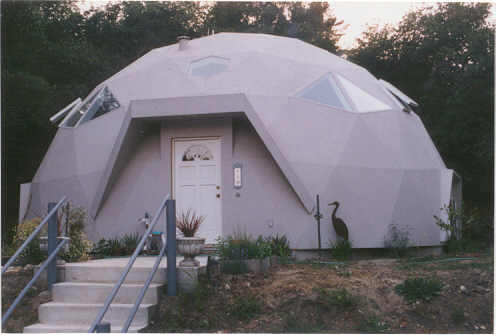 Evolving Dome Home Building Kits since 1982. Earthquake, Storm and Hurricane Safer Homes. 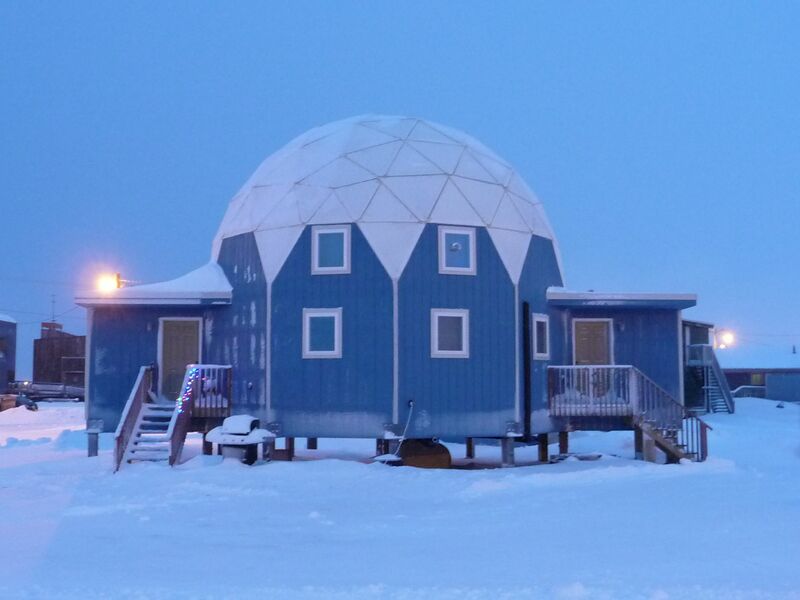 Precision Cut Dome Kits have Ten Equal Sides. Ten-Equal-Sides Ground Floor is Easier to Build. for Conventional Doors, Windows and Skylights. Extensions for doors and windows are not needed. There are many possible interior floorplans. Floorplans have 90 degree corners for furniture. using durable lapping 60 mil TPO shingles. both during and after construction. Insulation sheeting is installed outside the framework. 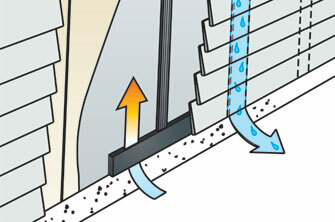 Ventilation of frame and sheathing inhibits mold growth. so you have a place to stand while working. Awkward upside-down work is eliminated. after the frame is assembled. in alignment by the triangulated T-Beam grid. 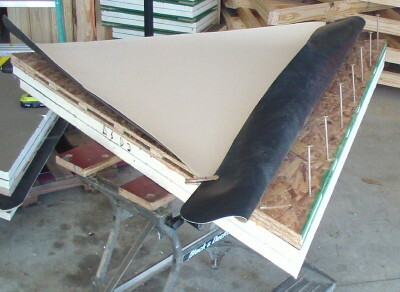 with lapping TPO roofing shingles are then installed. while standing on the sturdy EconOdome framework. 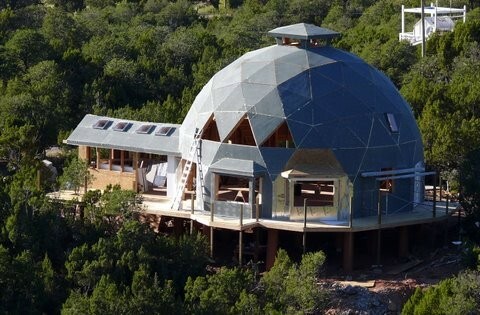 to build an awesome dome home. 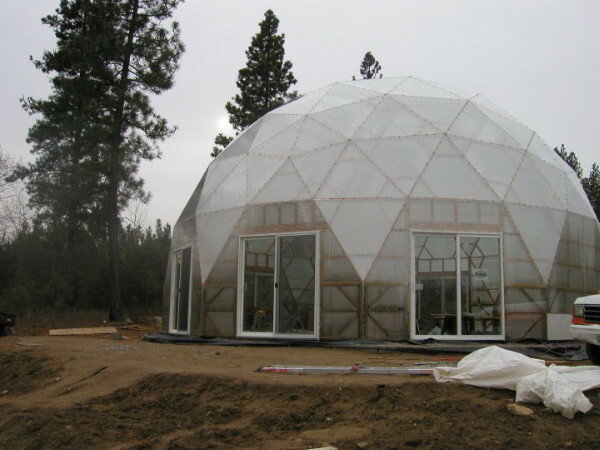 See how windows are integrated into EconOdome frame kits. 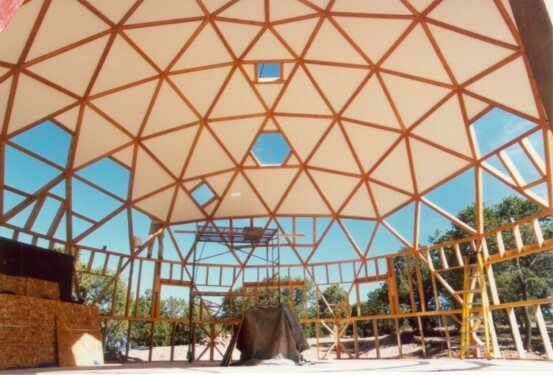 easily and economically construct a loft level within a dome. There are many ways to waterproof the exterior surface. large lapping rubbery TPO shingles. large, nearly flat, commercial buildings. exterior panels at the factory. 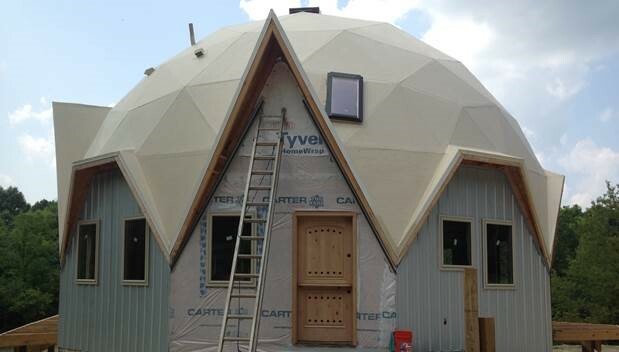 your dome roof much more quickly on the job site. 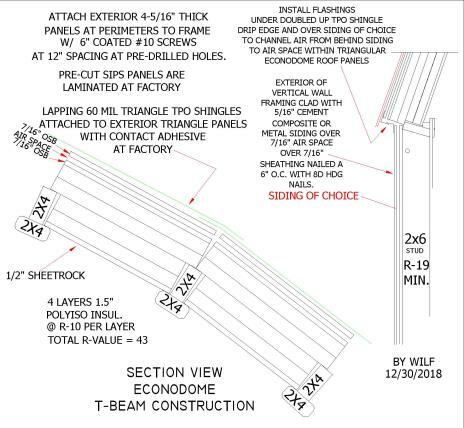 TPO shingles extend 3" beyond the edges of the triangle panels. 6" screws are used to secure the exterior panels to the frame. THE LAPS ARE ARRANGED TO SHED RAINWATER. THEN the 6" overlaps are "tack welded"
your gloved hand outside the laps. between TPO laps without using the roller. heat weld the outside edges of the laps. 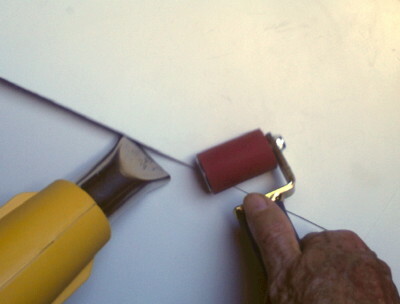 using both the heat gun & a small silicone roller. A digitally operated heat gun costs $40 at Home Depot. Other brands of heat guns are also available online. Any type of heat gun that will maintain a consthingles and prevents high wind damage. composition shingles, metal shingles, or roof coatings. factory attached lapping TPO shingles. Holes are pre-drilled in the panels for the screws. possibility of mold developing behind the siding. We have many already drawn floorplans in stock. if, you send us an e-mail describing your dream home. that match your description as closely as possible. one US dollar per square foot. with engineering approval that will meet all local building code requirements. The cost for in-state engineering review and approval is one dollar per square foot. The minimum cost for professional engineering approval, if required, is $1,800. 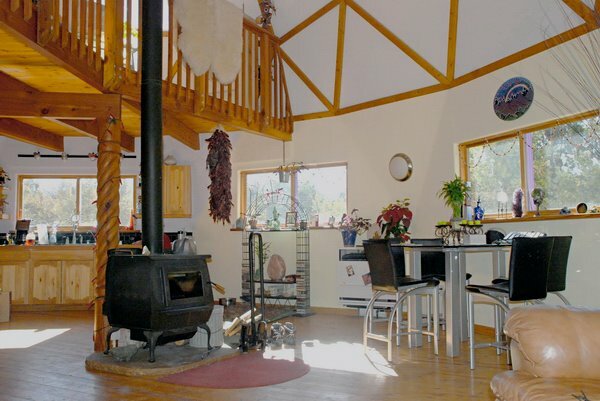 There is a garden and space for dining in the sunroom. clad with fire safe DensDeck Prime Roof Board. Exterior insulated panels were made on-site. was provided by family and friends. More insulation and sheetrock was installed from the inside. that rests on a raised and retained bed of gravel. We call this the "MesaBase" floor and foundation. Click Here & scroll to see more MesaBase info. are used to heat the concrete floor. 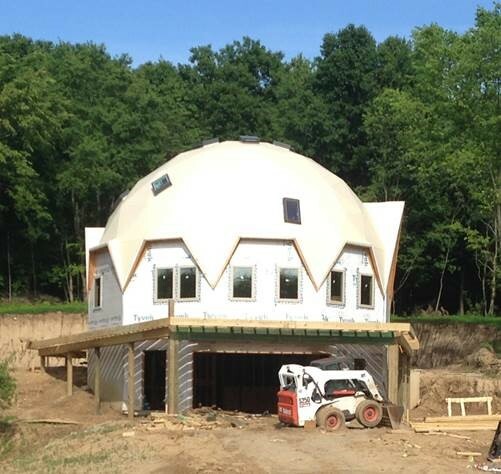 this 2,000sf dome home costs $8,250. 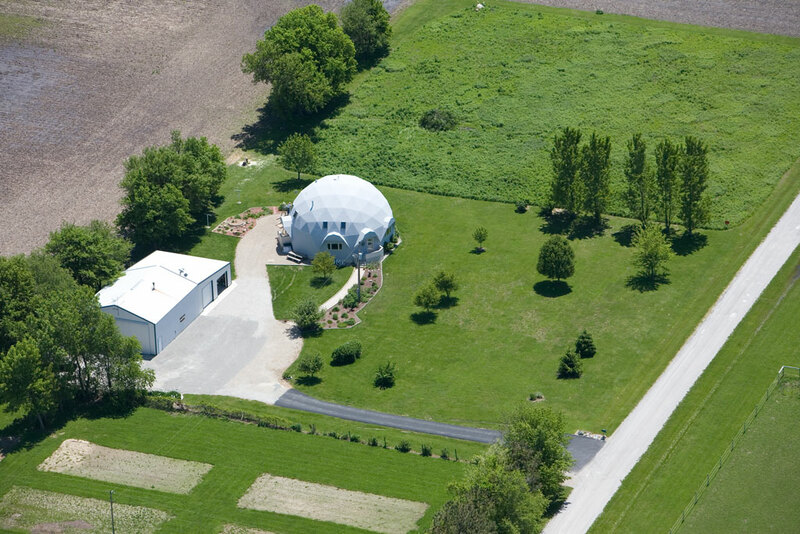 Cost to enclose this dome home was about $25,000. Cost to complete the interior was about $25,000 more. 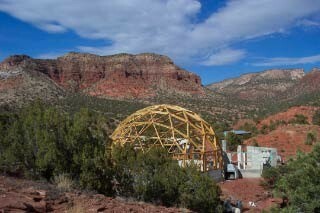 without professional structural engineering approval. you also need a riser wall frame kit. 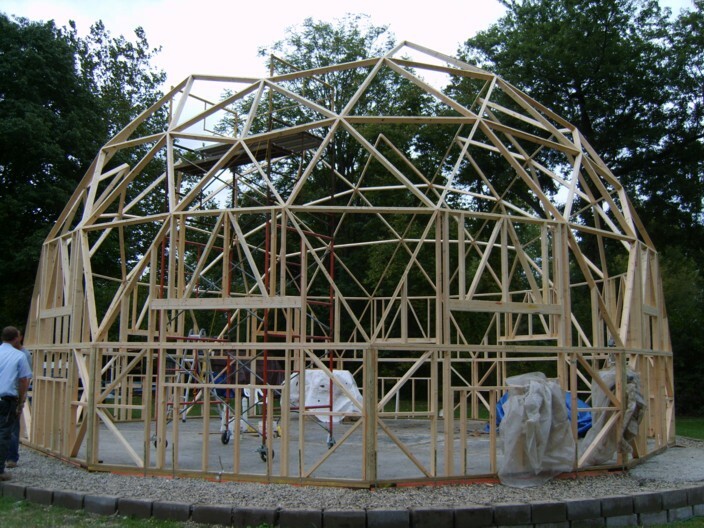 A four feet high 2x4 riser wall frame kit costs $1,750. All other materials will need to be purchased locally. 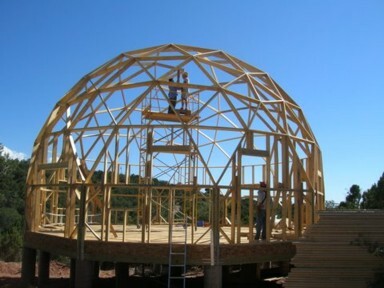 Click Here to view mp4 video of dome raising party. are assembled at the factory. 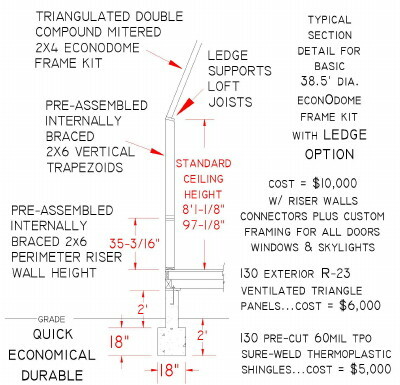 All custom framing is included with all EconOdome frame kits feet high in just one hour.re put up one at a time. 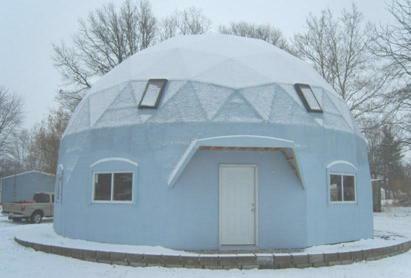 Triangle panels made of rigid insulation and DensDeck cover this dome. 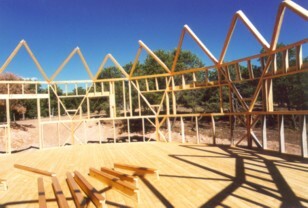 DensDeck triangle panels over insulation sheeting. helps to ensure a longer lasting waterproof surface. 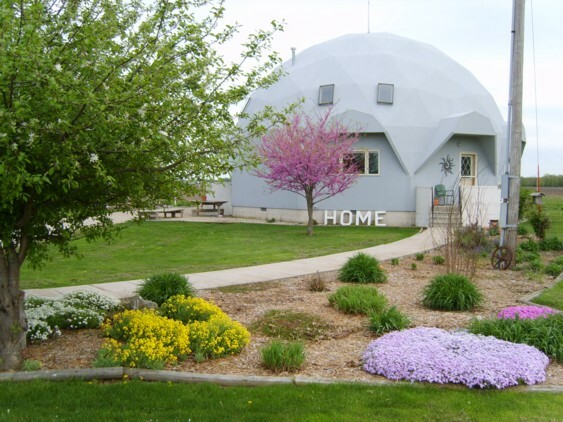 video tour of this dome home. Exposed 2x4 trim is attached to struts at factory. + TPO shingles attached at the factory. framing for all openings for doors and windows per plans. 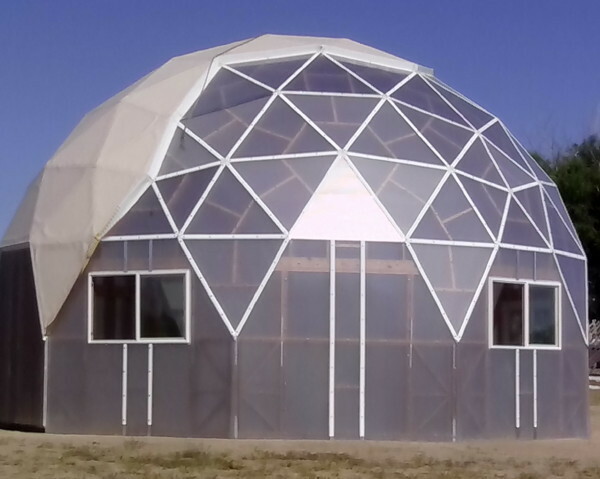 are included with EconOdome frame kits. gluing spacers between two layers of exterior sheathing. inhibits mold growth and allows for easy repairs. Fish and plants are raised in this 38.5' dia. biodome near Spokane, WA. attached to the ceiling of the EconOdome framework via "eye" bolts positioned at the nodes.